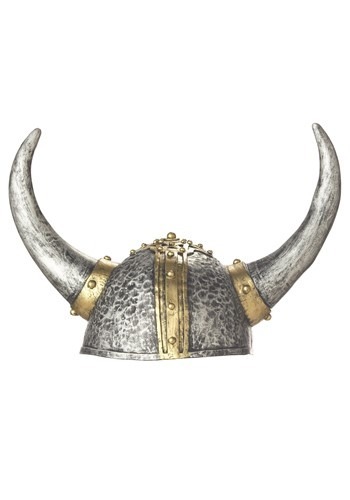 Thinking about dressing like a viking for Halloween? Just remember, those vikings were a pretty...motley...crew. And they were always subjecting themselves to the whims of the gods. So prepare for that, too. Among those many whims handed down from high were the somewhat stern instructions to affix cattle-like horns to their Viking battle helmets. We can see how it caught on; it surely makes for a dose of added terror as a horde of Vikings storms an unsuspecting village! Historians are still debating whether or not Vikings actually wore horned helmets like this, but either way it's pretty much ingrained our modern interpretation of the famed Norse warriors. So you'd be remiss to not wear it out with your other Vikings garb this Halloween!